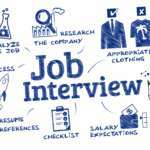 When facing any interview, perhaps especially as a nanny, the way we feel when we answer nanny interview questions is more important than the answer itself. Do we sometimes have bad days or pessimistic thoughts? Even our deepest feelings will influence the interview.